Small, blunt-nosed pliers with wire cutters ($2-$5) such as Michigan Industrial Tools 4 1/2 inch Linesman pliers with wire cutters ($2.19). Inexpensive, thin plastic contoured bassoon plaque ($2.00 and up) or smooth plastic guitar pick (.43 cents and up). See also Basic Tools Q & A." Stanley 2/32nd inch nail set 58-112 ($2.99). 6-inch metal ruler in millimeters ($1.50-$5). Barber Elite series Msr-11 by Tiger-USA ($8.00). This knife is designed for slicing. This is the most economical option. This knife should be resharpened to a scraping burr. See knife sharpening techniques. 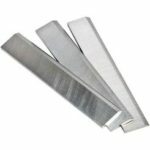 Create your own from POWERTEC 148022 6-inch jointer knives (blade only), 3-pack ($14.99). To use this as a reed knife, create a handle using a slide binder clip (see image). Slide the binder clip over the blade edge to create a handle. Wrap the binder clip with layers of duct tape. Find the right thickness for comfort. Note: This company's blades have a slight additional bevel similar to a scraping burr. This knife can be made for right- or left-handed scraping. Make two more knives and give to your friends? Straight razor knife, such as Master USA MU-1014W ($12.95). Note: to use this knife effectively, the folding handle must be removed and the shank inserted into a tool handle. This knife should be resharpened to a scraping burr. See knife sharpening techniques. 13/64 - inch tapered drill bit ($5.98). Note: the tip of the reamer needs to be ground off for proper fit. Adding a handle is recommended. See Basic Tools Q & A for instructions. Fox double fluted reamer, $20.00. Note: this type of reamer must be used on a dry reed and is very slow in removing cane. Specialty spiral reamers start at $60 and up. 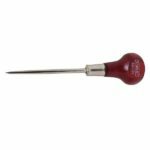 This reamer can do the entire job of reaming if needed, but only on a completely dry reed. Use a round, smooth 6-inch "rat tail" file, such as Nickelson 11781 file ($8.27). Note: the tip of the file must be ground down and/or snapped off at the right point, approx. 1-1/8 inches back from the tip. See Basic Tools Q & A for instructions. Auto Body Master aluminum oxide sandpaper. Grits: 320, 220, and 80 ($2.00). 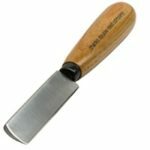 Plastic artists spatula with sandpaper attached with double-stick tape or self-adhesive Auto Body Master sandpaper ($1.85). Click here to see how to make one. Stevens International angle cut sanding sticks, 320 or 280 grit ($2.77), or value pack. Note: these are often found at hobby shops. 10-piece diamond needle file set, such as Harbor Freight Tools Warrior - item#69876, ($6.99). Mascot scraper, item no. 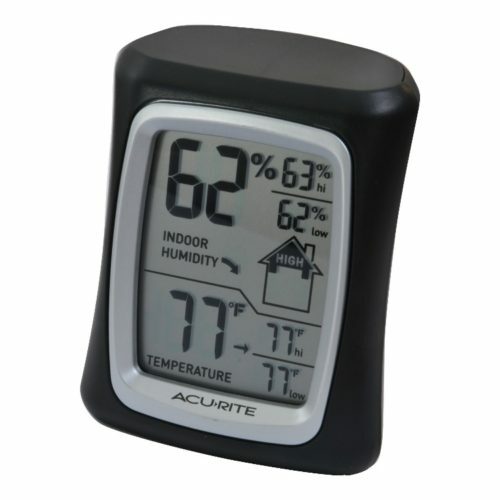 H297 ($15.99). 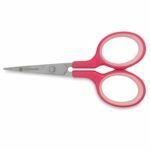 5.5" craft scissors ($4.79), or single edge razor blade used with guitar pick. Flush-cut end nip trimmer, such as FastCap End Nippers, part no. 88FCPLIERSENDNIP ($15.99). Phone\/tablet apps (free-$3.99) or tuners\/metronomes (starting at $20). DMT Dia-Sharp extra fine diamond sharpening stone ($24.60). Electronics industry nipper/flush cutting end, such as the highly recommended Grobet Flush Cutting Nippers #46.563 ($160).